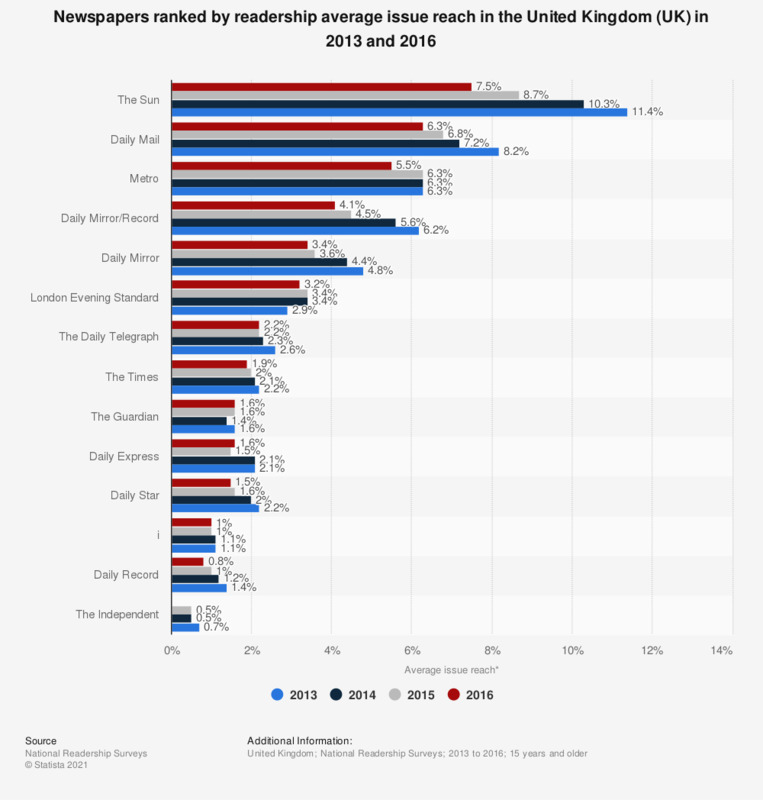 This statistic displays average issue reach of the leading newspapers in the United Kingdom in 2013 and 2016. The Sun had the highest penetration of the UK population over 15 years of age, with 7.5 percent of individuals reached by each issue on average in 2016. * Share of UK population over 15 years, on average, that each print issue reaches.